Our 2018 model (MK170MP3) features an upgraded pump which can dispense up to 36 litres per minute. This model also includes upgraded castor wheels, a new control box and dispensing nozzle. 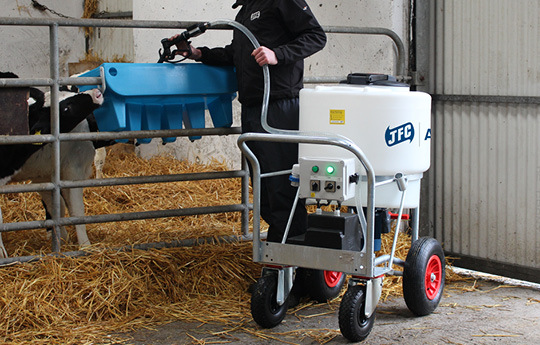 These features ensure a faster milk delivery time when using the JFC Milk Kart with pump. 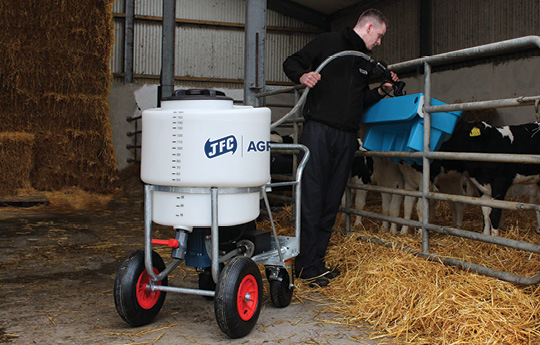 The JFC 170 Litre Milk Kart is large enough to mix a 20kg bag of milk replacer in just four minutes. The mixer provides a smooth mix, through vortex-enhanced mixing. This helps to eliminate the separation of nutrients and / or foaming of milk. The MK170MP3 is fitted with a battery powered pump capable of supplying a milk flow of 36 litres per minute. The battery has enough power to dispense up to 7,500 litres of milk on a single charge. 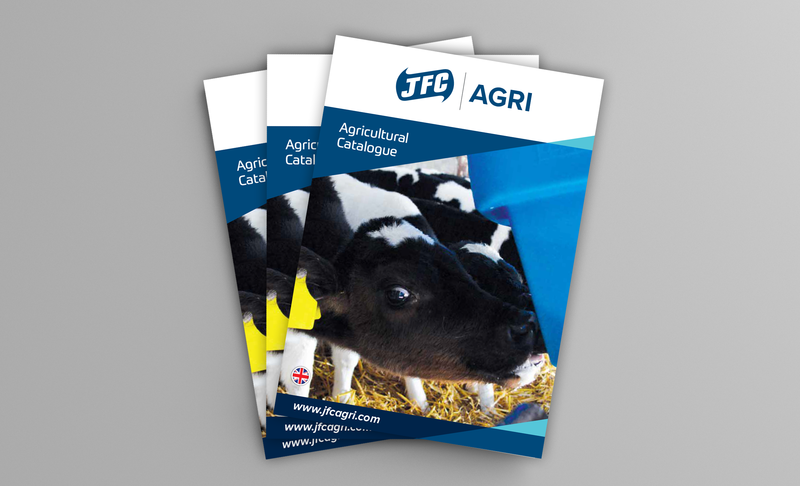 All JFC Milk Kart models are fitted with a galvanised steel frame and come complete with a lever valve, allowing for full control of milk flow. The castors have been upgraded to a 10” wheel and incorporates a puncture-less tyre. The larger wheels make it easier to operate over uneven surfaces or rough ground and allows for smoother handling. 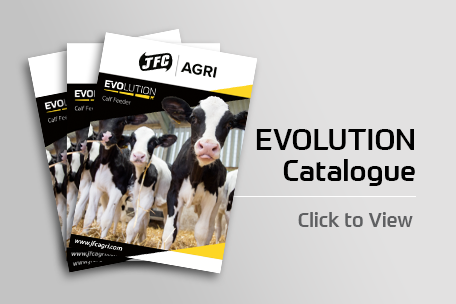 The JFC MP3 range of milk karts now features a silent running high output pump increasing the flow rate by 33%. It can dispense up to 36 litres per minute. The pump is mounted directly on to the frame and housed in a protective case along with the battery. 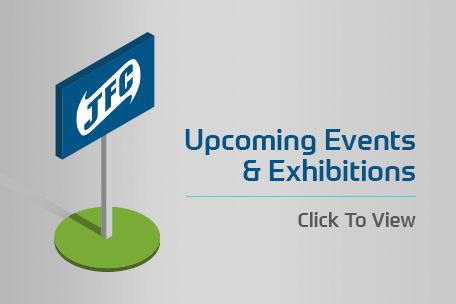 The JFC milk kart features an upgraded frame which is raised to allow for the 10” castors, allowing for more ground clearance while lowering the centre of gravity and increasing the stability of the entire unit. Upgraded control panel now incorporates the charger and mixer plug points for ease of access. Mounted in a higher position the control box also features upgraded switches with LED lights to indicate when mixer / pump is in use. 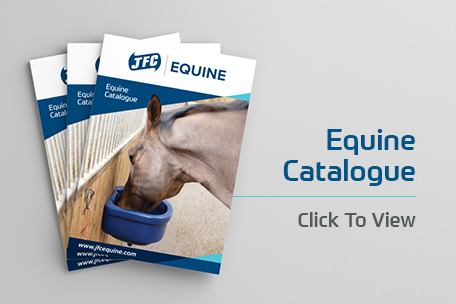 Click HERE to register your interest and a member of our sales team will be in contact regarding your nearest stockist.